My family LOVES these simple yet flavorful Grilled Chicken Bacon Ranch Sandwiches! They are easy to make, yet have the flavor of a quality sub sandwich from a gourmet shop! No leftovers tonight! Grilling Season is on! Bloggers are gathering together for BBQ Week to share recipes that celebrate all the ways we love to gather together and enjoy cookouts! Food from the grill and all the side dishes, desserts, and drinks that go along with it are the feature! My first post is this great sandwich, and I hope you'll follow along all week as we get you ready for barbecue season! 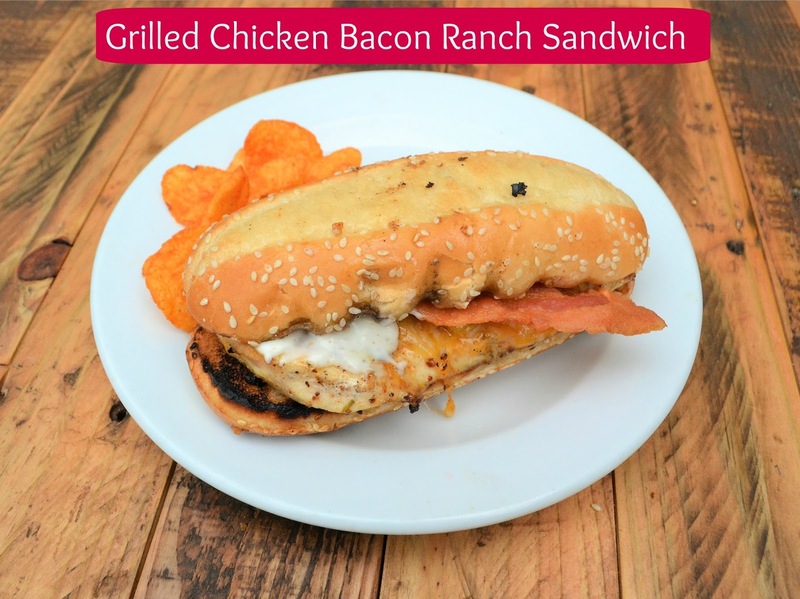 The Sesasoning: Jan's Tip: I chose to use rotisserie chicken seasoning on my chicken breast rather than powdered ranch seasoning, to keep the ranch flavor more subtle, (and just use ranch dressing on the buns. but to make it more "ranchy" use a packet of ranch dressing powder to season the chicken breasts before grilling. 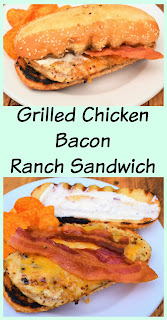 The Chicken: Jan's Tip; I purchased thin sliced chicken breasts, perfect for these sandwiches. If you can't find them presliced thin in your meat section, but boneless skinless chicken breasts, and slice them in half lengthwise, so they are half as thick. These sub shop gourmet quality sandwiches are easy to make yet, bold with flavor that your entire family will love. Preheat grill to med. high heatSlice open sandwich buns and butter each inside slice. set aside. Season chicken breasts with desired seasoning on both sides.Place chicken on grill cooking 5 -7 minutes on each side. Make sure chicken is thoroughly cooked through. Place cheese on each chicken and remove to a clean serving platter.Grill sub sandwich buns butter sides down for 1 minute to toast till golden brown. Remove from grill.Assemble sandwiches: Place chicken on bottom bun top with 2 slices of bacon. Slather ranch dressing on top bun, and place on top of chicken. Serve warm. Let’s fire up the grill, serve up some burgers or steaks or chicken and some delicious sides and desserts! Follow #BBQWeek so you don’t miss one delicious recipe. There are more than 20 recipes this week from some amazing bloggers. That looks delicious and I know this will be a hit with my bunch! Printed and going on the menu STAT! Rotisserie seasoning sounds great. I'd go for that over the ranch and leave the ranch part for a salad. I have got to make this sandwich. Perfect for a summer weekend. Holy. This looks so good. I'm a sucker for a good sandwich. I could go for one of these right now... I need to get off the computer and make supper I think!